The unfortunate reality is that it can be incredibly difficult for members of the LGBTQIA+ community to grow up in West Virginia. Psychological issues related to marginalization, discrimination, prejudice, assault, family estrangement, and other factors render the state’s LGBTQIA+ population incredibly vulnerable to addiction. Data from the Williams Institute indicates that West Virginia is home to more than 46,000 LGBT adults and that 78 percent of residents feel this population experiences discrimination in the state. In addition to LGBTQIA adults in West Virginia, thousands of children who identify with this community face years of repression and fear of being who they are, which often causes them to self-medicate with alcohol and other drugs. 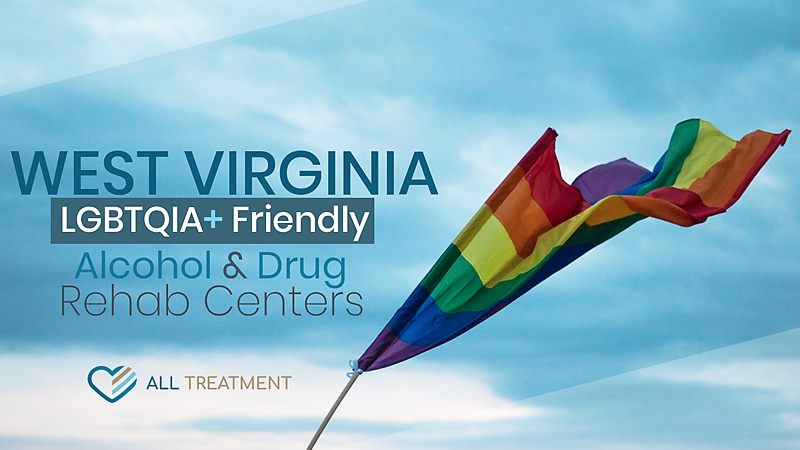 West Virginia has become incrementally more sensitive to the addiction care needs of the LGBTQIA+ population and is offering more and more treatment facilities that specialize in treating the unique care needs of this community. In addition to detox, group therapy, and individualized counseling, LGBTQIA+ alcohol, and drug addiction rehab commonly consists of a variety of supplemental trauma and occupational therapies to help patients build their confidence and work through the origins and sustaining factors of their addictions. If you or someone you care about is a member of the LGBTQIA+ community in West Virginia and is currently struggling with SUD, you’re not alone. Browse our database of treatment centers today to start the healing process.